Imagine walking into the most glorious library you’ve ever seen. Every bookshelf is organized to perfection, housing answers to even the most difficult questions, and—it smells really good. What if something like that existed for your RFP responses? Those of us that respond to a volume of RFPs are very familiar with the classically inefficient process. Thankfully, there are plenty of creative RFP management solutions that ease the pain and encourage efficiency. One key part of a solid RFP management system is an answer library. And though it may not smell like the musty books in your dream library, it has all of the benefits you need to get your RFP content in line. The question is…how smart is your answer library? And an even harder question…how much time is it actually saving you? And for the win…is it ultimately helping you close more deals? Our bottom line is the same, and we have to start somewhere. But we must also acknowledge that a boilerplate answer won’t always fly with our customers and clients. What separates a successful RFP response from the rest? A thoughtful response. Tailoring each RFP response for the requirement, situation, and client is a critical component when drafting a response. 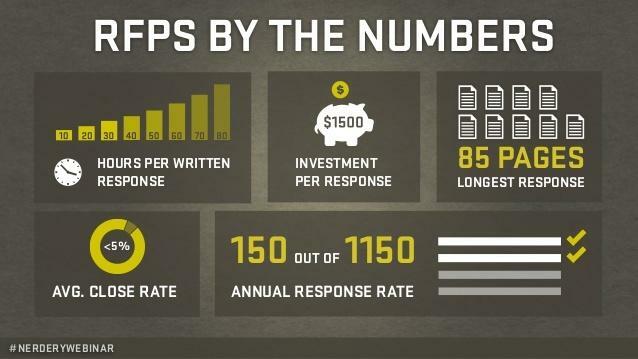 Win rates will definitely suffer when RFP responses aren’t taken seriously. Automation has its time and place in today’s world, but just like with any other technology, the power can be used or abused depending on the person behind that tool. With the number of high RFPs you’re responding to, you know that you don’t want to start from scratch with each response. It will only be more time lost when you don’t have any to spare. RFPs are a team effort, so you’ll often have several team members in and out of the same Excel doc. Is everyone updating the answer library consistently? Hmmm…probably not. During the day-to-day hustle and bustle, an extra step like manually updating an Excel doc is easy to skip. And there goes your company’s grand idea to have a trusty library for storing your historical RFP responses. Luckily RFP management technology has come a long way, and web-based automation solutions can often save the day. Without further ado, here are several ways an RFP management solution can help you build the ultimate answer library. Most marketing departments are in charge of approved content for RFP responses. Your answer library can serve as a centralized place for marketing approved content to keep the RFP process moving forward smoothly. When approved content is sitting in an email or Excel, it can easily slip through the cracks and delay progress. A perfect answer library gives you an option to browse various responses for a similar question in historical RFPs. That way you can choose a hybrid of multiple responses to customize your response for a better chance of closing. It’s never one size fits all for RFP responses, so it’s important to have that level of control over your answer library. Any respectable library is organized by category, and this is difficult to pull off in an Excel doc. Categories might include: security, architecture, pricing, customer references, terms and conditions. While searching for keywords is an intelligent method for tracking down an RFP response, narrowing down by category makes searching highly targeted and efficient. How great would it be if an answer was already generated for you in your library? Going the extra mile, a recommendation engine takes searching out of the equation entirely—a lot like Google’s auto-suggest feature. And you’re never stuck with the recommended answer, because you have the power to customize it. Like the librarian running a tight ship, assigning content owners for the answer library is the best way to continually optimize your RFP responses. A library is a living breathing resource, and there are times when it needs a cleanup or refresh. Having a workflow option where the system periodically sends out a friendly reminder to those content owners will help them stay on top of RFP responses, so they are always relevant and ready to go. Your answer library might mirror the militant organization of the Dewey Decimal System, while another’s might look like the bargain bin at a used bookstore. Either way, it’s a smart idea to have one place to turn to when it’s time to scout for an RFP response. 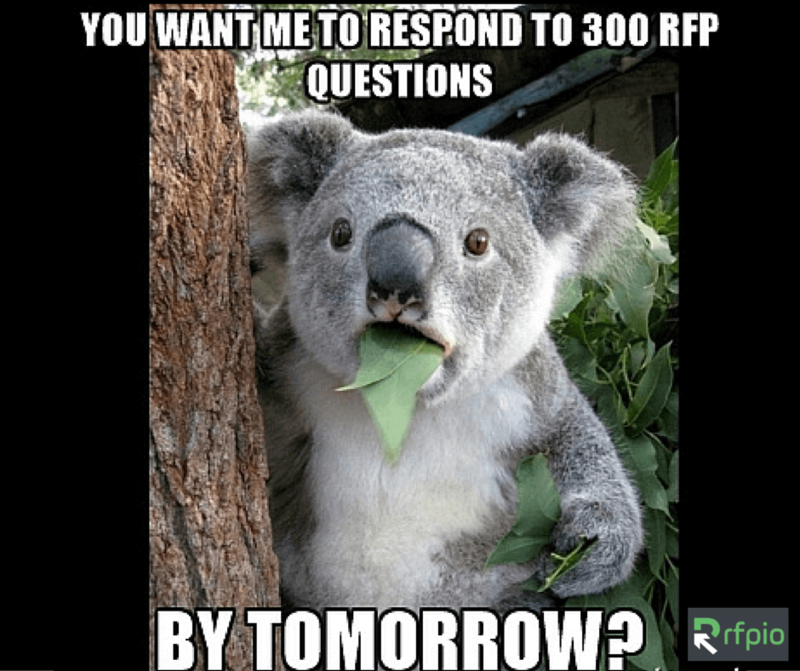 We want to hear about the craziest RFP questions you’ve seen!